Johannes Wagner was born on September 9, 1835 in the colony of Frank, Russia, the son of Caspar Wagner (born 1793) and Rosina Margaretha Müller (born 1798). Johannes married Katharina Batt about 1855 in Frank. Katharina was born in June 1835, the daughter of Johann Georg Batt (born 1798) and Magdalena Guttmann (born 1802). Portrait of Johannes Wagner. Courtesy of Sherrie Gettman Stahl. A daughter, Anna Marie (Emma), was born in Frank, Russia on April 8, 1856. Anna Marie married Johann Gottlieb Weber on December 29, 1874 in Brunnental. ​This couple was also among the earliest settlers in Portland. Johannes and Katharina moved to the daughter colony of Brunnental where the following children were born: George B., born on April 3, 1871; Katharina, born on October 24, 1873; Johannes, born June 27, 1880; Emma, born February 1882.; James, born August 1883; Wilhelm (William), born May 1887. 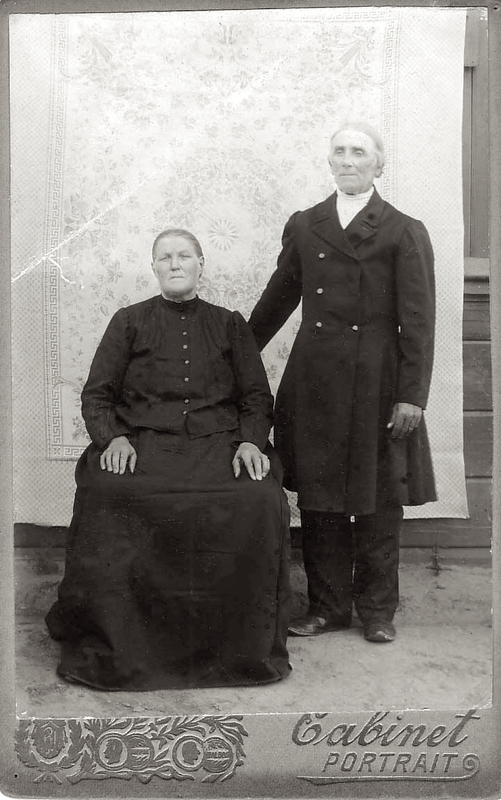 Johannes and Katharina made the decision to immigrate to America about 1888. John and his first wife, Katharina. This photo appears to have been taken in Portland around 1890. Courtesy of Sherrie Gettman Stahl. In 1889, Johannes (now John) is listed in the Albina City Directory. No address is given for his residence but he was working as a car repairman for the Northern Pacific Terminal Company (NPTC). 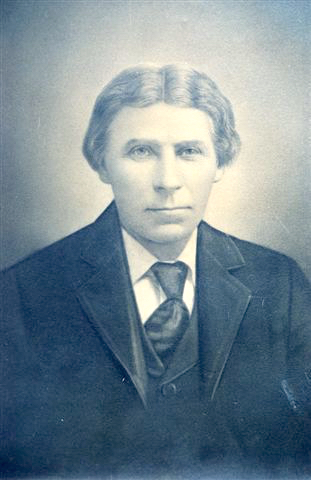 In 1890, John and his family are residing on the south side of Elliott Street, 2 lots east of Helm and he continues working for the NPTC as a carpenter. John's daughter, Anna Marie, and her husband Gottlieb had arrived in Portland and were living near the Willamette River on the north side of Russell Street between Goldsmith and the railroad. This location was in the Brendles Addition adjacent to the Albina railroad shops. It is possible that their family home was damaged or destroyed during the flood of 1894. John was the uncle of Caspar Göttmann and the step-brother of Caspar's mother, Katharina Margaretha Klippert. It is likely that John encouraged Caspar and his family to settle in Portland. The Göttmann's arrived in the Spring of 1891. Another daughter, Nancy, was born in July 1890 in California. ​John's wife, Katharina, died in 1893. Her burial place is unknown. John married for the second time to Maria (Mary). Her family name is unknown. 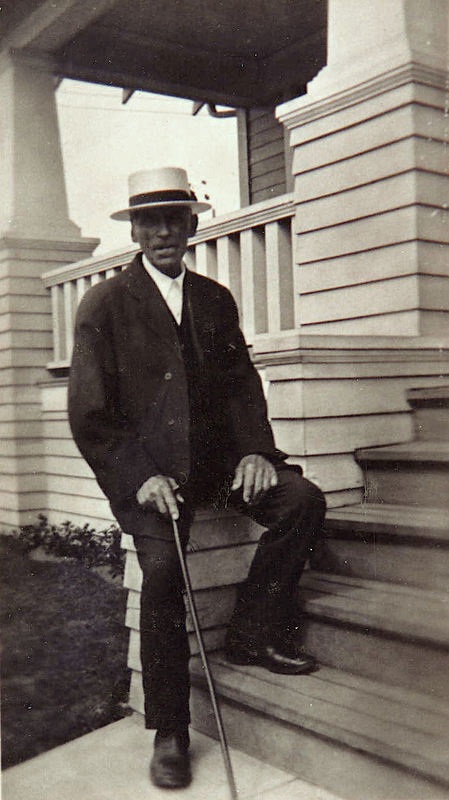 John Wagner in Portland during his later years. Source: Sherrie Gettman Stahl. John returned to Russia in late 1898 or early 1899. In April 1899, he returned to the United States, sailing from Hamburg and arrving in New York, along with Mary and his son George and his family. In 1900, John and Mary are living at 695 Oregon Street (now 1935 NE Oregon Street​) in Portland. Mary's mother (Mary J.) and John's son George, along with his family, are living in the same household. John is working as a day laborer. John was known for his fine craftsmanship in woodworking and furniture making. At the time of the 1910 and 1920 U.S. Censuses, John continued living with his son George and his family at 695 Oregon Street. Mary must have died prior to the 1910 census. The Wagner home at 695 Oregon Street would later be owned by George Schreiber, the son of early pioneers George and Elizabeth Schreiber. Johannes Wagner died on November 20, 1922. His burial place is unknown.